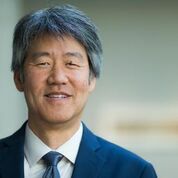 Dr. Peter Lee is Corporate Vice President, Microsoft Healthcare. He leads an organization that works on technologies for better and more efficient healthcare, with a special focus on artificial intelligence and cloud computing. 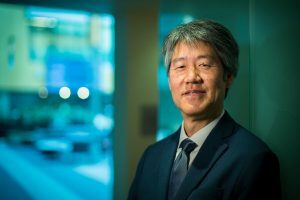 Dr. Lee has extensive experience in managing the process of going from basic research to commercial impact. Past illustrative examples include the deep neural networks for simultaneous language translation in Skype, next-generation IoT technologies, and innovative silicon and post-silicon computer architectures for Microsoft’s cloud. He also has a history of advancing more “out of the box” technical efforts, such as experimental under-sea datacenters, augmented-reality experiences for HoloLens and VR devices, digital storage in DNA, and social chatbots such as XiaoIce and Tay. Previously, as an Office Director at DARPA, he led efforts that created operational capabilities in advanced machine learning, crowdsourcing, and big-data analytics, such as the DARPA Network Challenge and Nexus 7. He was formerly the Head of Carnegie Mellon University’s computer science department. As a thought leader, he has spoken and written widely on technology trends and policies, spanning the fields of computing technology, healthcare, and innovation ecosystem. He is a member of the Boards of Directors of the Allen Institute for Artificial Intelligence and the Kaiser Permanente School of Medicine. He served on President’s Commission on Enhancing National Cybersecurity. He has led studies for the National Academies on the impact of federal research investments on economic growth and testified before the US House Science and Technology Committee and the US Senate Commerce Committee. • Board Member, Brotman Baty Institute for Precision Medicine, 2018-present. • Board Member, Paul Allen Institute for Artificial Intelligence (AI2), 2018-present. • Board Member, Kaiser Permanente School of Medicine, 2016-present. • Member, Advisory Committee for the Computing and Information Science and Engineering Directorate of the National Science Foundation (NSF/CISE), 2012-present. • Co-chair, NITRD Working Group for the President’s Council of Advisors on Science and Technology (PCAST). Conducted the congressionally mandated 2012 review of the federal Networking and Information Technology Research and Development (NITRD) program. • Member and Chair, Computing Research Association (CRA) Board, 2006-2008. Chair of the CRA Government Affairs Committee. • Vice-Chair, DARPA Information Science and Technology Board (ISAT), 2007-2008. • Witness, the US House a Committee on Science, Space, and Technology. Hearing on the Networking and Information Technology Research and Development Act of 2009. • Service on 25 conference program committees, 6 conference and program committee chairmanships.